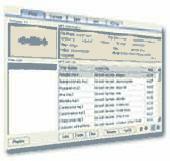 A software that directly convert audio from mp3 to Wav, also Wav to mp3 format. It convert the audio digitally-not through the soundcard-which enables you o make perfect copies of the originals. You can convert mp3 to Wav, so you can burn your own cd audio with the Wav file. Very easy to use ,You only click a button! Select all files you want to convert. MP3 Wav Editor is an all-in-one audio editing and converting software. It includethe following functions:1.mp3 Wav converter - convert mp3 to Wav,Wav to mp32.mp3 splitter - split large mp3 to small ones.3.mp3 joiner - join mp3s into one.4.cd ripper - rip audio CD to mp3 and wave.5.mp3 renamer - rename mp3 file name as artist-title-album format.6.Free mp3 player/manager. Wav Splitter is an easy-to-use tool for splitting large Wav file into smaller ones. With the build-in Wav player, you can pre-listen the Wav file, set start time and end time, split or cut any section of the Wav file you want. Wav Splittert also splits equal parts either by size or by time.